Most of Motorola's 2018 lineup has already been leaked earlier this month, so there are little surprises still waiting for fans of the US brand. However, the Moto E5 was a bit under the radar when it comes to pictures and details about specs. Probably the cheapest Motorola smartphone to be launched this year, the Moto E5 is expected to feature a rear-mounted fingerprint sensor, something that companies usually save for their mid- and high-tier products. 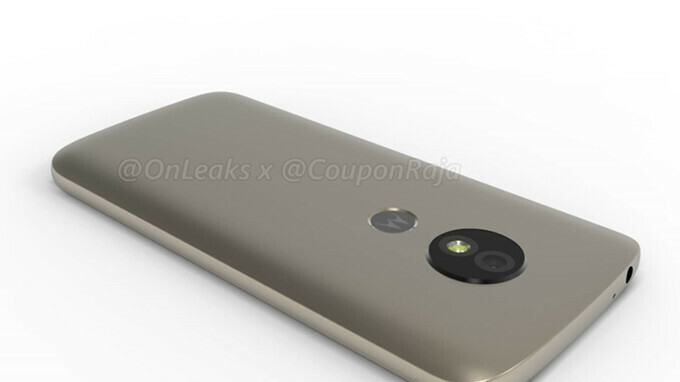 Several 3D renders and a video made after the Moto E5's CAD files confirm the positioning of the fingerprint sensor on the back of the phone, but only if Motorola decided to put it under the brand's logo. Unfortunately, aside from the phone's measurements (151x74x8.9mm), there isn't any new info regarding its specs. Based on previous rumors, the Moto E5 should pack a MediaTek processor and a 5-inch display with 16:9 aspect ratio, but none of these details have been confirmed yet, so take it with a grain of salt for now. How can you expect a lowend/budget phone to have bezelless display?